Gifted with strong business instincts, skill with numbers, and wizard-like ways with an Excel document, Andrew is 633 Group’s newest team member! A recent graduate of University of Michigan’s Ross School of Business, Andrew earned a Bachelor’s Degree in Business Administration with high distinction. Prior to joining 633 Group, he gained valuable experience working in corporate finance for Adidas at their North American headquarters in Portland, Ore. He has also worked for Meijer’s corporate headquarters in Merchandising and Inventory Management. 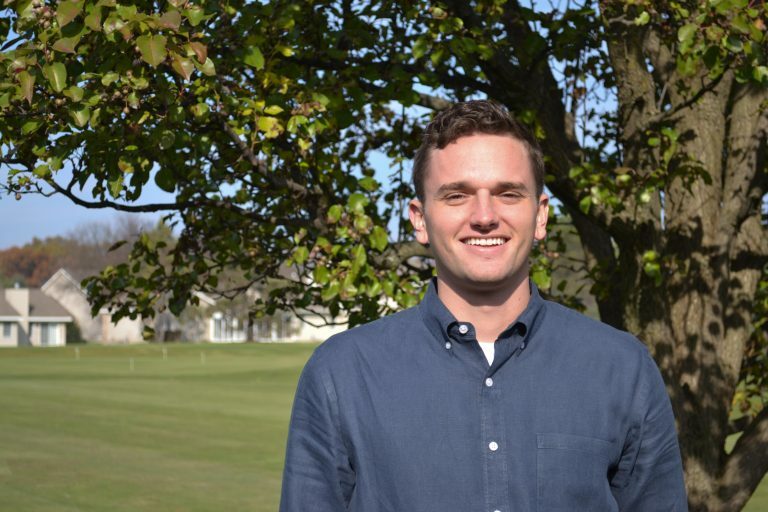 Detail oriented and a natural problem solver, Andrew looks forward to being a part of development, projects, and new business opportunities for 633 Group’s future. He’s enjoying being surrounded by an exceptional and experienced team at 633 Group; a group he refers to as family even beyond his father, Craig. Adventurous and energetic, Andrew enjoys golfing, skiing, and biking as well as traveling anywhere! He thrives being outside of his comfort zone trying and learning new activities. When not in motion, you can bet he’s watching Michigan Football – Go Blue! Andrew also has a witty sense of humor, citing Jerry Seinfeld and Larry David as his favorite comedians of all time. Hanging around The Moors Golf Club crew also provides plenty of opportunities to share a laugh! Want to know more about Andrew? Check out the KzooConnect blog he was featured in!